Rumor has it that the iPhone 8 will pack a lot of punch compared to the iPhone 7. 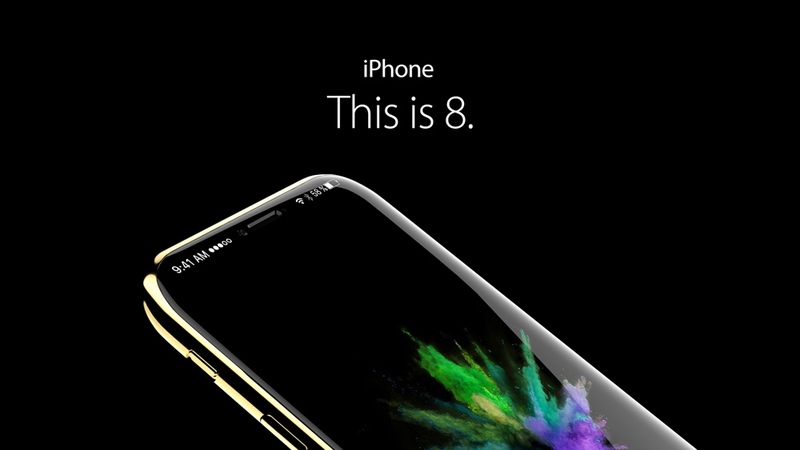 But a new iPhone 8 concept knows no boundaries of design. When we think about smartphones, we immediately imagine a rectangular block in our minds with a screen slapped in front of it. Very uninspiring, if you ask me. But thankfully, it seems as though manufacturers are eager to break away from that trend by tossing in all sorts of design tricks into the equation. Take a look at the Mi Mix, example. Its front is adorned by a true edge-to-edge display, something very rare these days. And it seems this trend will continue as we move forward. 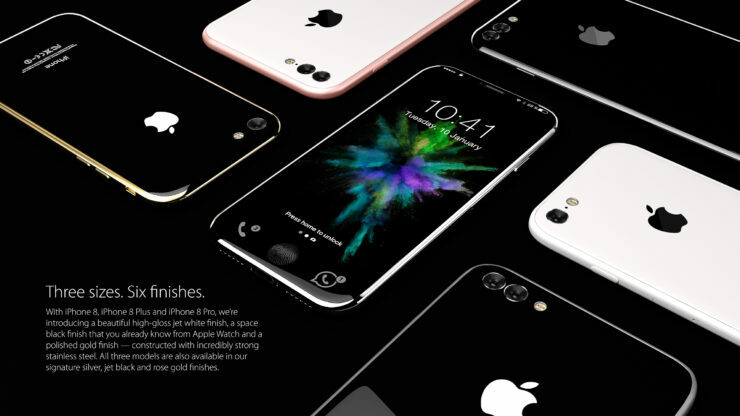 So much in fact, that one designer believes it will make its way to the iPhone 8. And we dig what he has conjured up! 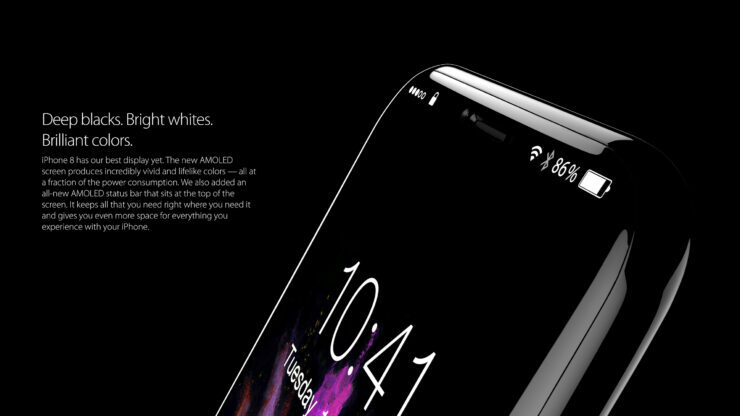 Apart from the insane looking design with an edge-to-edge display that melts into the body, the iPhone 8 is envisioned to have a lot of great features under the hood too. The designer imagines the smartphone to pack an AMOLED display for extremely vivid colors and viewing angles. There’s a 16-megapixel camera with 4K video recording too, so you do not miss a moment regardless of where you are. On the security front, there’s Touch ID that is integrated into the display. 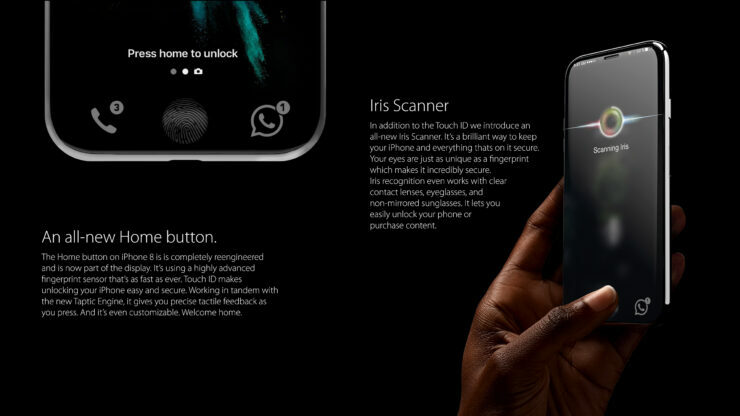 But that’s not all, an iris scanner makes the cut too for enhanced security. The phone even comes in three sizes and in a total of six finishes, giving buyers a lot of options. 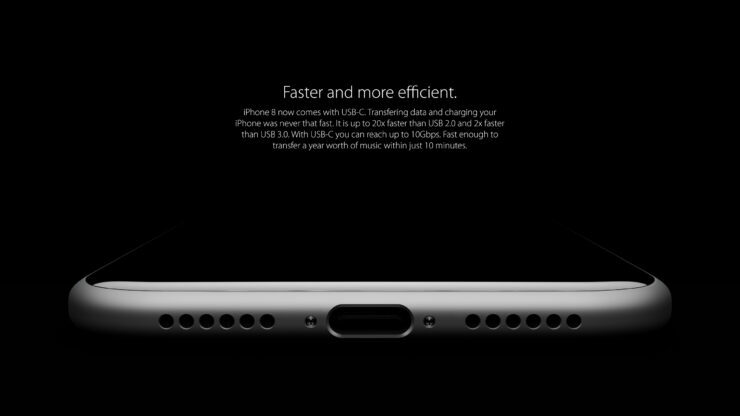 The Lightning port has been ditched from the device in favor of USB-C, which is way faster than any other USB standard before it. But of course, since the future is ‘wireless’, we can’t help but wonder why we need a USB-C port at all? If fast charging is your answer, then it makes sense. But syncing with iTunes? Come on! 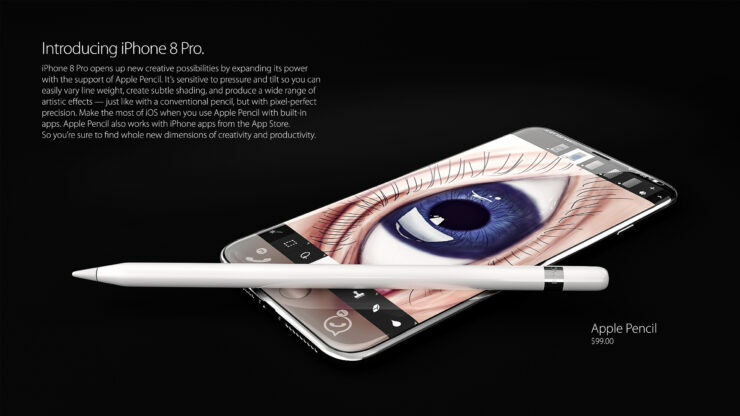 Things are topped off with the iPhone 8 concept working with the Apple Pencil and featuring built-in wireless charging. 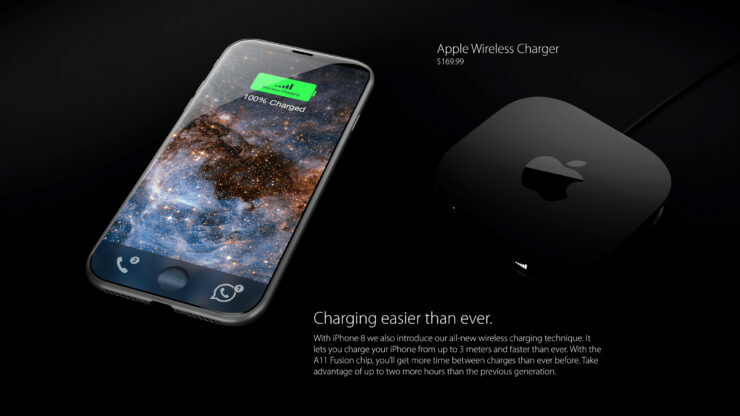 The wireless charger from Apple is also imagined in this concept too, with a price tag of $169. Steep, yes. But hey, wireless charging! 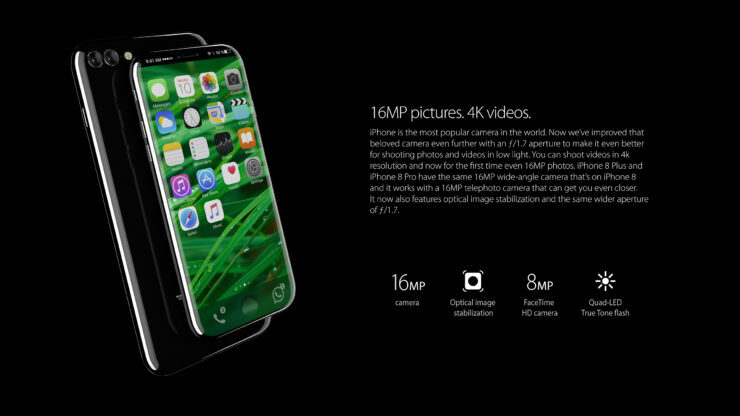 There’s no denying the fact that iPhone 8 is going to be a big upgrade over the iPhone 7, but will it be something close to the concept we are seeing above? We can’t say at all. But what we can say is: we love concepts that are boundless by the limits of design.